The GT247 team was pleased to roll out five Crypto Currencies in 2018 as overwhelming customer demand gave us a compelling reason to launch the once vague offering to our customer base. May 2018 saw us hosting some of the country’s top Crypto Geeks at “The Mesh Club” in Rosebank alongside Matt Brown and his team from the Matt Brown Show. We had the pleasure of live streaming straight out of San Francisco with some of the best minds in the business, who poured “crypto wisdom” to the salivating audience in a bid to quench their thirst to learn and to get exposure to the Crypto world. My biggest take away from the evening was that the “crypto geeks” were going long Bit Cash and going short Bit Coin, this was going to be a speed hump we were to face on our crypto journey. Our Crypto launch was weeks away from being unveiled to the public and we realised that there was a desire for more than what we were going to enter the market with. From the presentations done on the evening we realised that we were going to fall short in providing a wholesome offering to our customer base. 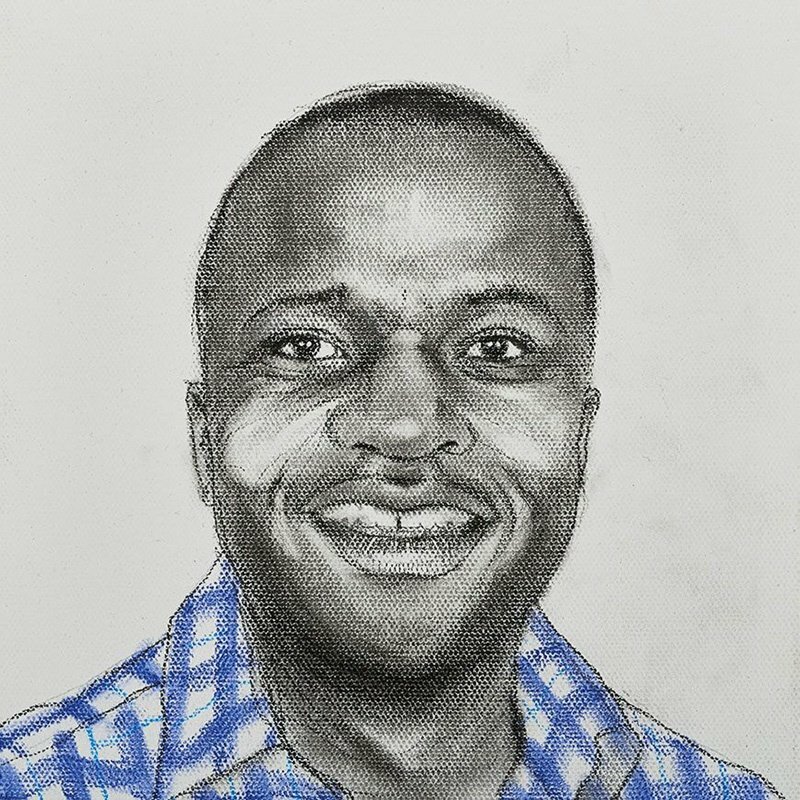 Having been pioneers of CFDs in South Africa, launching new products that would disrupt the market was nothing new to the team, but this was the Crypto world a pond that we had never swam in and the waters could be treacherous. We decided to go at it in a measured and calculated manner, providing an offering that would keep our clients drooling for more. In our light launch we decided to launch two of the most popular crypto currencies to our customer base, we unveiled Bitcoin and Ethereum to the public in June of 2018 which was a resounding success. Having dipped our feet into the water the Crypto story at GT247 was beginning to take shape. Demand remained strong from customers and trading volumes were up month on month from the launch date. After a couple of months introspection was needed, we reassessed our position, we realised that the we were half pregnant and as the saying goes you can never be half pregnant. It was time to sink or swim. The Crypto market was moving at lightening pace, Bitcoin had got wide acceptance from the investing banking community and interest was spreading like bushfire. The CBOE had launched a Bitcoin futures contract in December 2017 and six months in the market was beginning to appreciate the volatility and the risks associated with Bitcoin. The CBOEs margin requirements for the Bitcoin futures were stifling traders and a review was on the cards. With major exchanges compressing their margin requirements, GT247 could now offer clients with more gearing from October 2018. Margin requirements were slashed by 20% to 40% giving clients more breathing room. With improved liquidity in the underlying market, the spreads on Cryptos have tightened and are attractive for traders. As liquidity and volatility stabilise we anticipate that one will not be able to push the proverbial “double decker” bus through the bid and offer of the more liquid and frequently traded Crypto currencies. 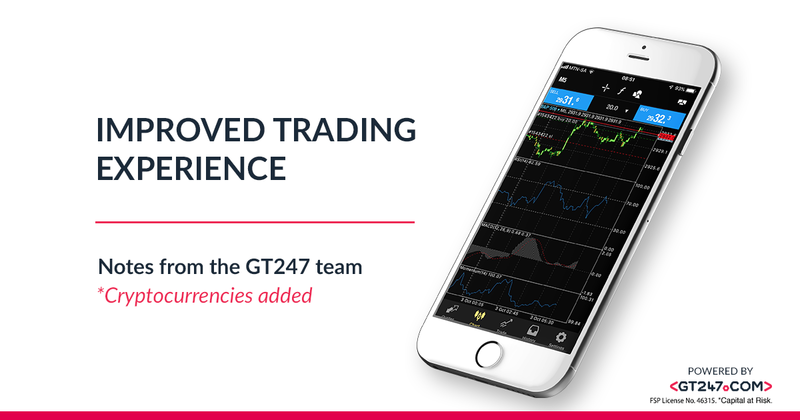 In October of 2018 we were pleased to launch another three crypto currencies to the crypto basket that we offer on the GT247 trading platform. The dynamic duo of Bitcoin and Ethereum without a doubt provided the necessary foundation to get started, however to fully embrace the crypto craze we have unleashed Bitcoin Cash, Litecoin and Ripple as supporting acts for Bitcoin and Ethereum. Being a CFD provider we have stuck to our knitting and provided yet another suite of products that clients are able to benefit from the movement in price in the underlying crypto price. By not owning the underlying you do not have to put up the full nominal value of the position and the greatest bit is you can go short on the platform. Customers are now able to trade a variety of crypto currencies with compressed margin requirements and tighter spreads.